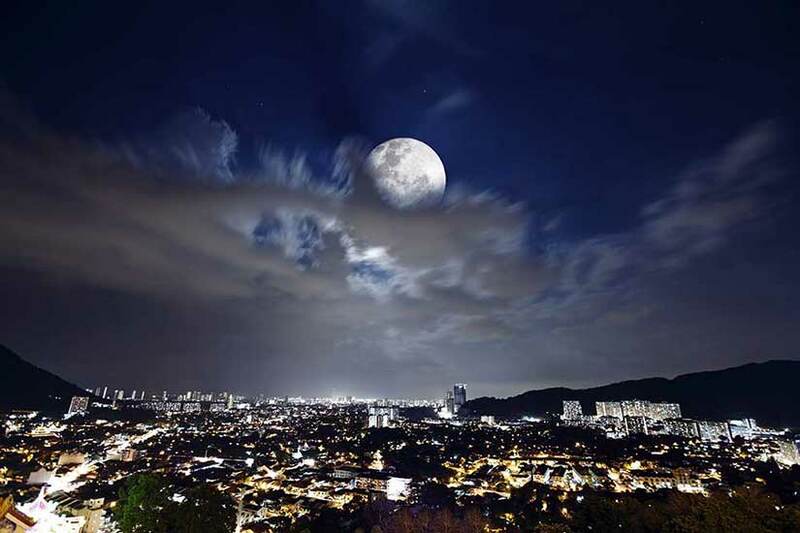 Georgetown, located on the northeastern coast of Penang Island is also the capital city of Penang State. 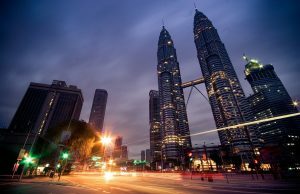 The second largest city in Malaysia is named after the British King George II. The city fuses modern lifestyle and colonial charms. 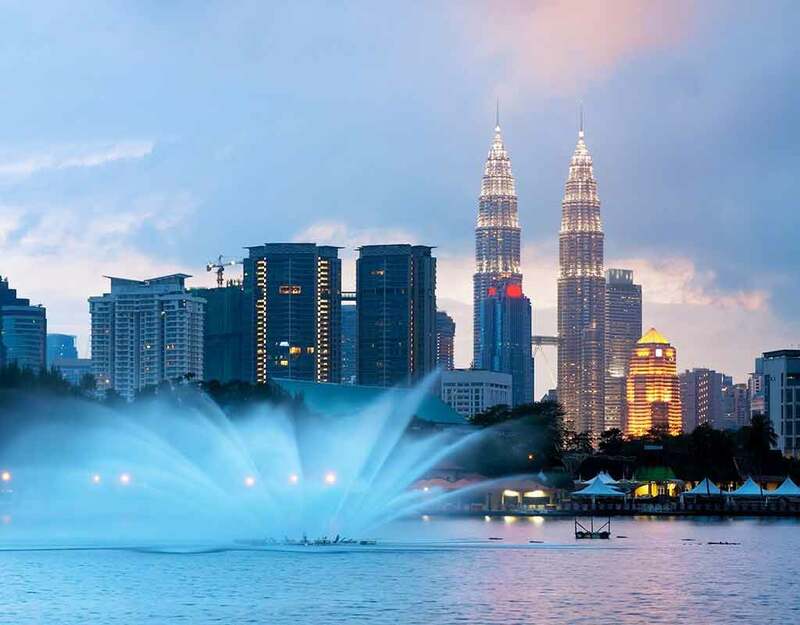 The mellowed modernization is a pleasant change from popular cities of Malaysia as it is less crowded and trendy than Kuala Lumpur or Langkawi. 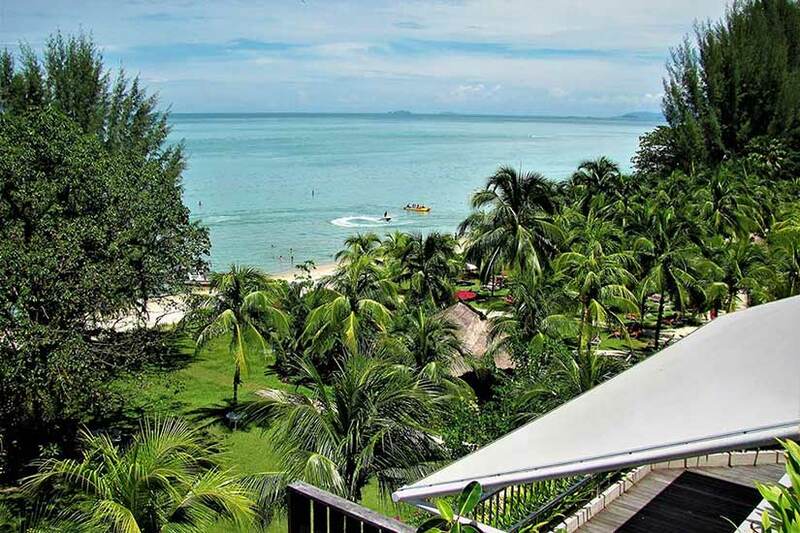 Georgetown is around 45 minutes from Penang International airport. You can also reach Georgetown by ferries. 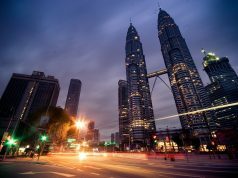 George Town is considered to be the most livable city in Malaysia. 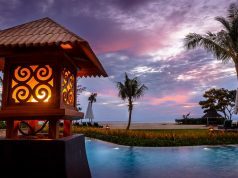 With a remarkable tropical location, a negligible population, safe and secure lifestyle with excellent medical care, this town is appealing for those who look forward to retiring to a tropical Asian destination. 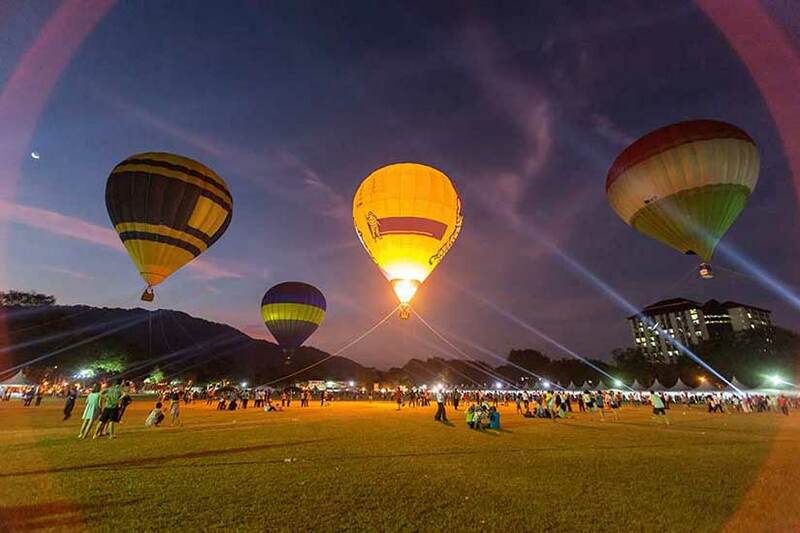 The township also has an interesting and diverse range of population from around the world along with local community providing an eclectic recreational lifestyle. The living cost is reasonable and offers quality accommodations, dining, and other services at low costs. The city is pedestrian friendly and compact enough to be explored on foot. Georgetown has plenty of sectors that reflect its assorted ethnic communities. Beyond the British colonial ambiance, the town is home to alleys lined with ancient Chinese houses, temples, mosques, and pagodas. The city’s bounty of old-fashioned British mansions, colonial-era architecture, and colorful, narrow streets at Old Georgetown Streets are a delight to visit. 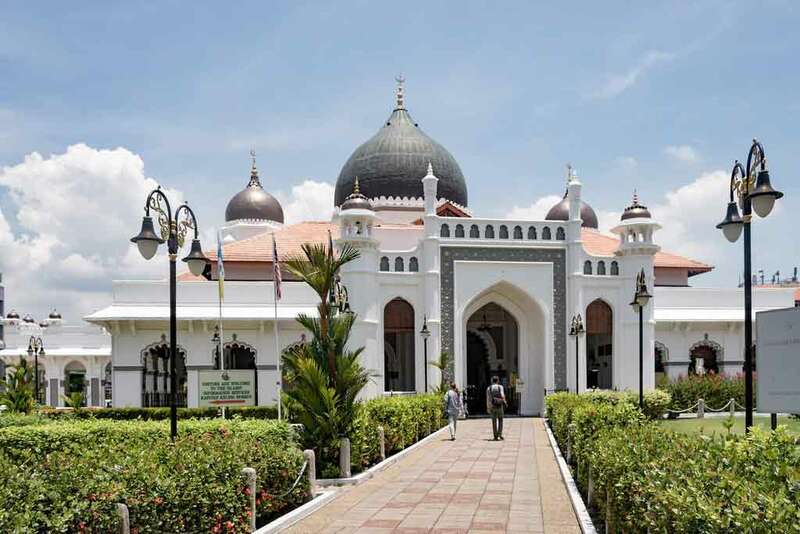 If you are not in the mood for a stroll, take a trishaw ride for a breezy ride through these heritage sights. Morning walks tours are particularly pleasant as you can enjoy the start of a refreshing day with the locals. A visit to Georgetown should definitely include its popular attractions. 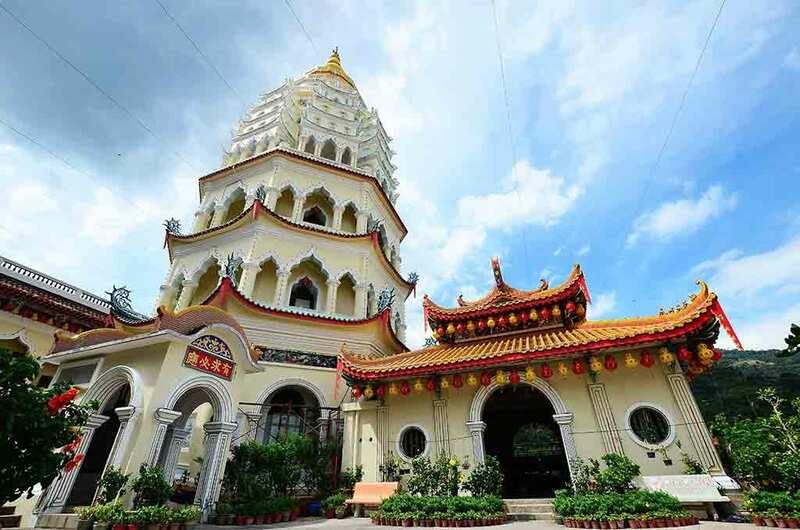 These awesome collections of attractions reflect the harmonious mix between Eastern and Western influences. 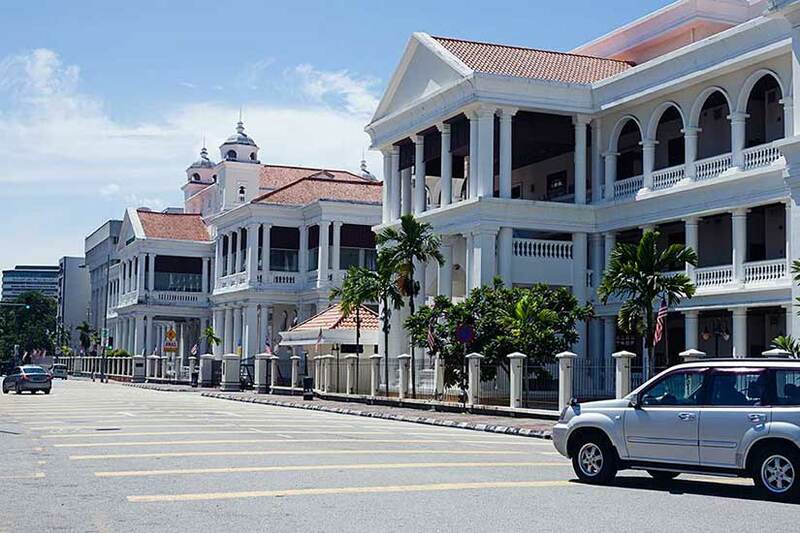 The beautifully restored Cheong Fatt Tze Mansion, Pinang Peranakan Mansion and Macalister Mansion takes you back to the charming Chinese and British way of life. The Chew Jetty’s houses built on stilts have traces of ancient Chinese settlements. Fort Cornwallis, The Queen Victoria Memorial Clock Tower, and St. George’s Church are some of the famous remnants left behind by the British Empire. Sri Mariamman Temple is the oldest Hindu temple of Lord Subramanium in Penang and is located in the Georgetown’s Little India Quarter. Georgetown’s street walls double up as a creative canvas for street artists. Saunter around the city and you will be surprised to see splendid installations and wall paintings all over the city. For shopaholics, Georgetown makes an exciting destination in Penang with excellent shopping choices. The city is bountiful with traditional handicrafts, vintage finds, luxury products, high-class brands and designer labels. 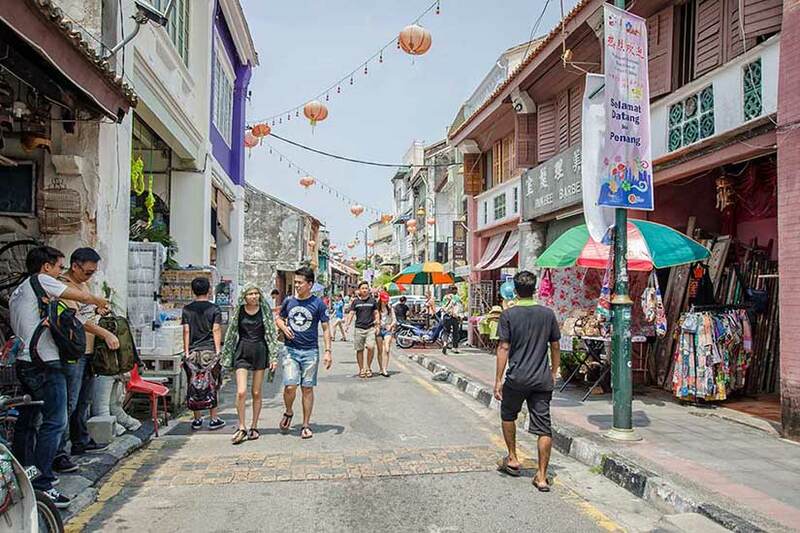 Georgetown is famous for its street markets such as Little Penang Market and Cecil Street Market which have a fabulous collection of merchandises and local handicrafts that you can buy at negotiable prices. For a leisurely retail therapy head to one of the many modern shopping malls such as 1st Avenue Mall, Komtar and Gurney Plaza. Georgetown is not a typical idle town steeped in history, in fact, the after-dark scene of Georgetown is fervently vibrant. Georgetown’s nightlife is filled with posh pubs and bars to flamboyant nightclubs some which have Vegas styled shows and showy bartenders juggling up drinks and funky music that you would love to groove on the dance floor. Three Sixty Revolving Restaurant and Sky bar and The Press Rooftop Bar are ideal nightspots where you can head for a chilled drink and nonchalant settings. If you like to get footloose, then Slippery Senoritas, Soju Room, and Cuvee are your best options in Georgetown. George Town is an ideal destination for foodies. Right from world-class gourmet restaurants to local flavors at food markets, every bite here offers a delicious experience. Taking advantage of its multi-ethnic community and western and eastern fusion, you get to sample some amazing palette of cuisine. Be it a classic Peranakan dish, freshly hand tossed Italian pizza, spicy Indian curry or French haute cuisine, you get to satiate your taste buds to any genre of cuisine you want. Some popular dining places to check out are Passage Thru’ India, QEII restaurant, Goh Swee Kee Teochew Restaurant, Mews Café Penang and Beach Blanket Babylon Bistro & Bar. The Hawker Centre comes alive during the night on the streets of Georgetown. Street stalls laden with local delicacies pop up on the streets offering a lip-smacking delight of aromas and flavors. 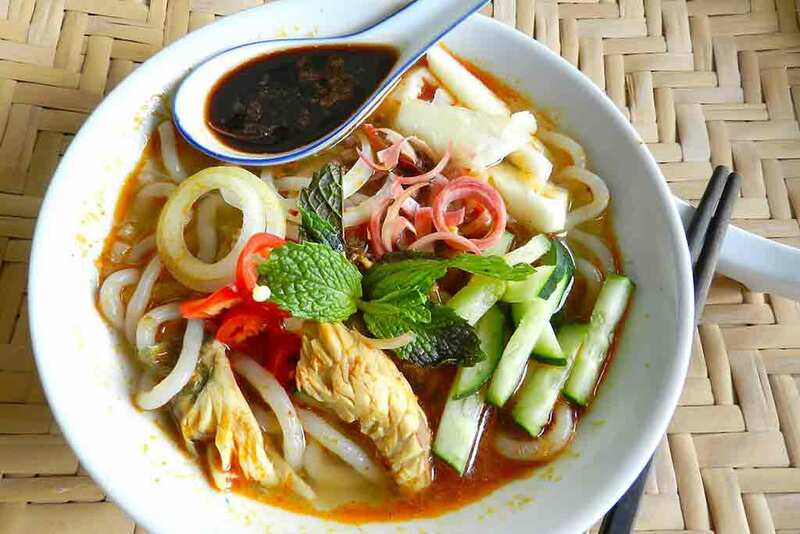 Delve into curry noodles, assam laksa, cendol and classic Hokkien noodles and Hainanese chicken fried rice at the night food stalls. Red Garden Food Paradise & Night Market is a popular huge food court that caters to a myriad of local and international cuisines. Georgetown provides you with plenty of stay options if you are planning to spend a day or two here. Right from vacation holiday rentals, heritage homes, boutique hotels to chic luxury stays, the accommodation options will exceed your expectations. Bayview Hotel Georgetown and Georgetown city hotel offer reasonably priced accommodation with quality hotel services and comforts. If you wish for a vintage ambiance, the 1926 Heritage Hotel, Dwell by Palanquinn, Eastern, and Oriental Hotel, East Indies Mansion gives you the perfect heritage experiences.